I didn’t have time to post this before so a quick note on game two of our football watching extravaganzas. 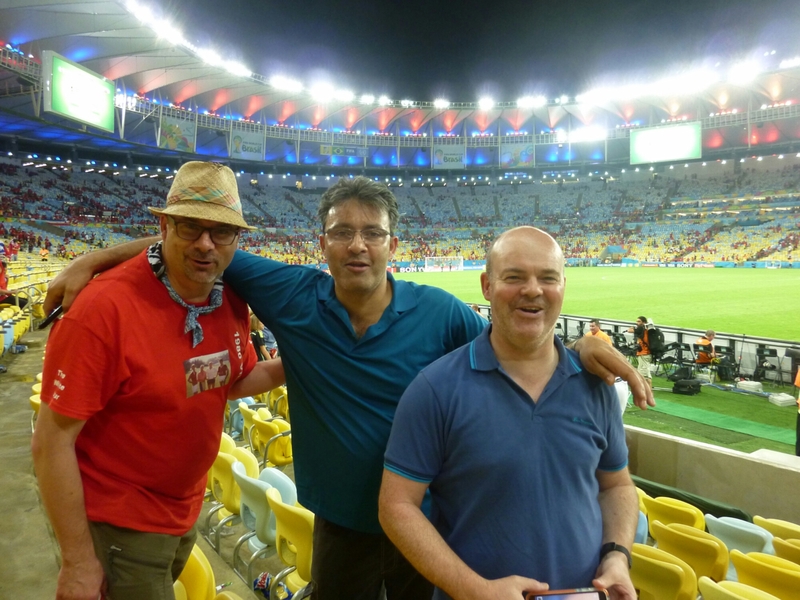 This was our second trip to the Maracana and no less exciting for it. 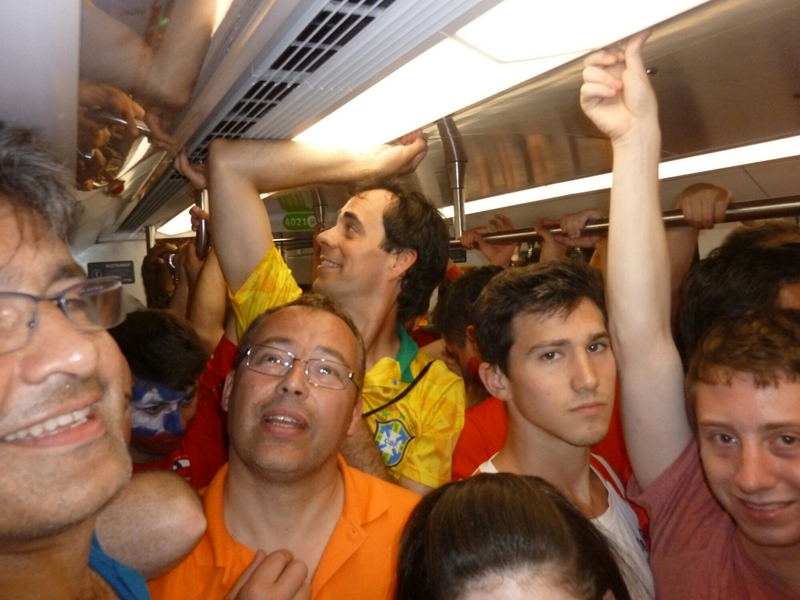 A tube train across town that at every station gathered more fans till we were full to bursting. 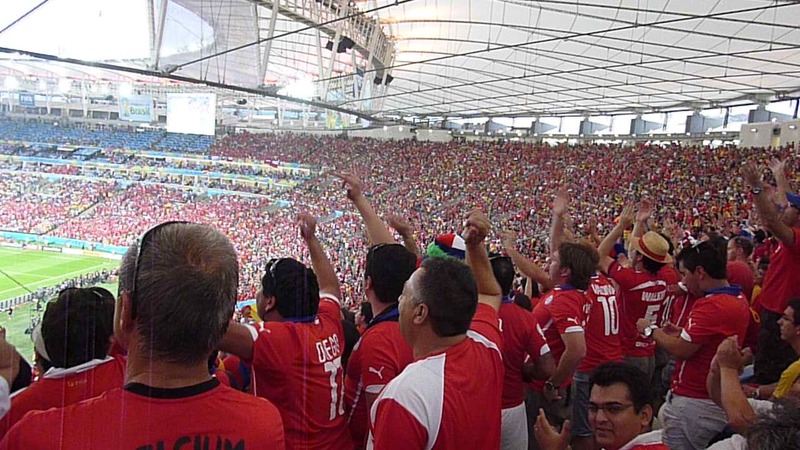 To all intents and purposes this was a home game for Chile judging by the atmosphere. 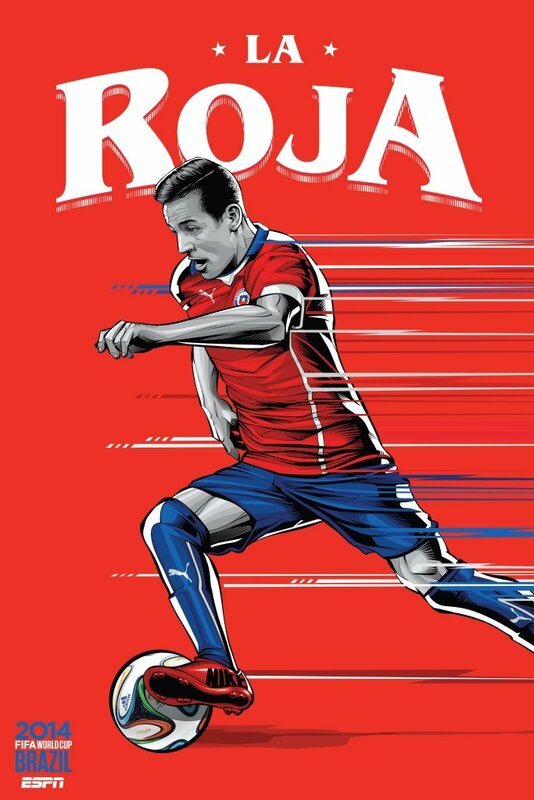 ‘Chee-Chee-Chee Lay-Lay-Lay, Vive Chile‘ echoing round the ground as their team emerged from the tunnel. A chant that was echoed and expanded on through the game. A great game played at full bore for 90 minutes. Chile pressing the Spanish tiki taka till it broke down, then scoring to threaten Spain with an early exit. Spain upped the anti but couldn’t break through and once Chile’s second goal went in you could see the sense of purpose drain out of the Spanish players. Two opposite ends of the spectrum, stunned shell shock and depression vs delirium and wild joy, in the same place at the same time. 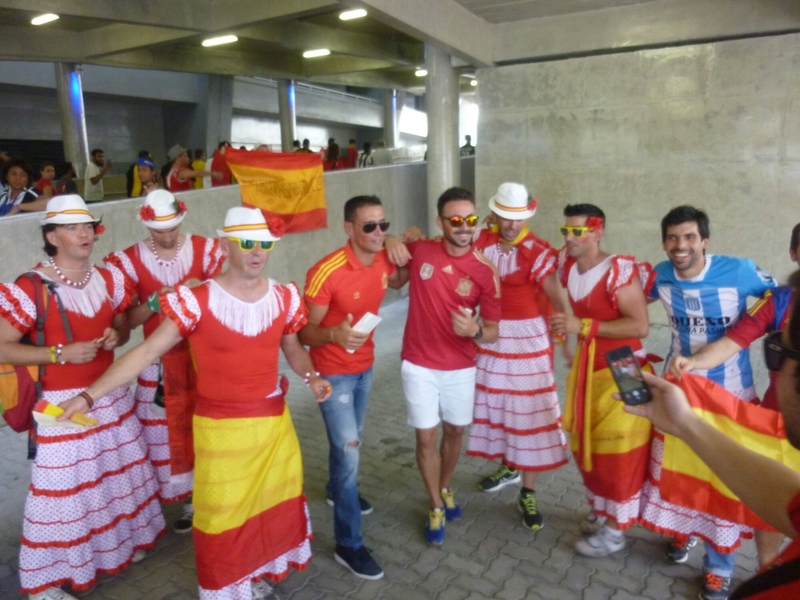 Fans as ever in all forms, in form before the game. As Max Boyce would say, ‘I was there’. Need a close up of that photo on the front of your shirt. Is that you?